don't you just love pets....! lol! OOOPS!!! Ha Ha! Sorry Trout, gotta laff, was only watching Simon's cat yesterday and it was the one where Simon's cat destroyed HIS tree! Oh no Sassy, it looked so lovely too. they are tinkers hun my Bengal keeps dragging my fibre optic 1 across the floor lol. we got it for the conservatory the other day n already she has snapped two bits off it lol. Too funny! Silly cats! Try duck tape, it works wonders! Hope you get a new one up soon! Oh no, sassy! So sorry this happened, but as always you have such a wonderful attitude about it. .. .. and your tree looked so lovely!! Never mind .. .. we will get to see another soon .. .. unless this one can be repaired?!?!? Oh dear Sassy the little Tinker, I'm sorry I had to laugh,, I think you better take her with you to choose the new tree!! Lol. 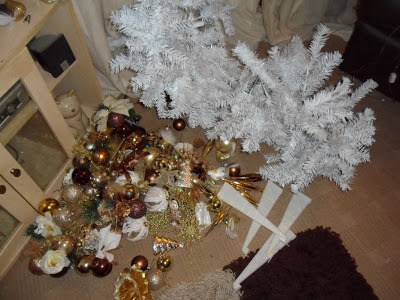 You got to laugh haven't you Sassy......ours was down 3 times on 1st day......we have 2 little kitties....one of them even managed a little snooze between the branches! Oh sweetie, they are little devils. I really miss my little baby. 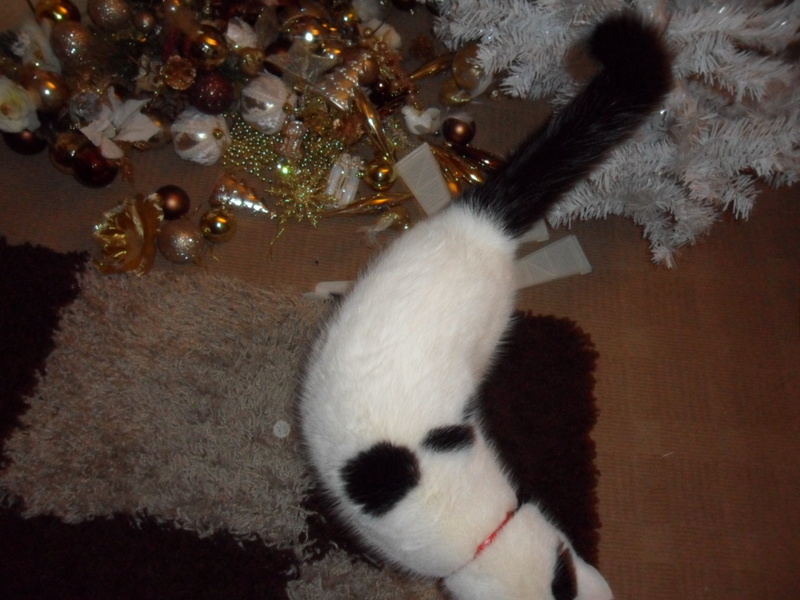 I would much rather have him pulling the tree down and not have him like I have now. We have now moved in to an apartment block where we can't have animals, so I can not get another one. They are so full of mischief. Brought back fond memories. aaaaah ha ha ha sorry it made me laugh!! I am lucky enough to have four cats that are not interested in my tree at all! Hope poos Marvina is ok and she doen't want to "help" with the other one LOL!